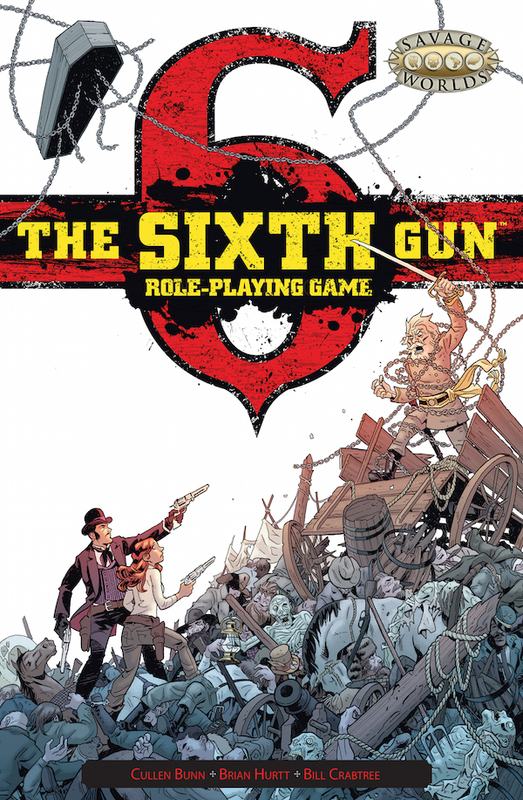 This week Pinnacle Entertainment Group launched a Kickstarter for a Sixth Gun RPG! Cullen Bunn and Brian Hurtt and RPG author Scott Woodard teamed up to bring us this adventure that includes new comic content. I can't wait to get my gaming group together and embark on a quest for the six guns! 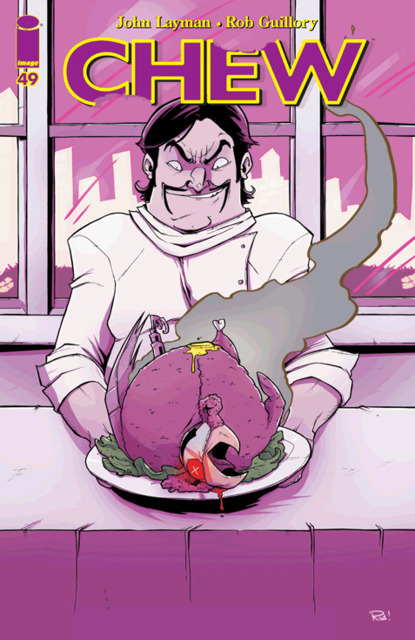 It has already funded and smashed through three stretch goals at the time I wrote this. My hope is they will unlock all of the stretch goals and add some new ones! It also includes some amazing miniatures that I would love to add to my collection. Check it out here. 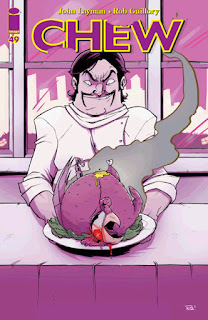 Chew #49 - (Chew has its own Kickstarter worth checking out too!) The master plan has been unveiled and I have learned to trust John Layman. That will ultimately lead to my demise, but decisions I questioned in regards to this series is setting up an epic conclusion. The Collector may be the most formidable villain that has ever graced the pages of a comic book. If he existed with other superheros and villains, they would likely have to team up to take him down and the movie rights would sell for millions. In this world, the only one who was capable of taking him down, Poyo, was tragically killed a few issues back. At the time I questioned it and wished a plague of Mega Blocks upon Layman. After this issue, I have learned that Layman knows what he is doing and would make a bang up spiritual guide. Guide us oh wise Layman! The Infinity Gauntlet #1 - Quick background. Secret Wars has given birth to Battleworld, a world comprised of fragments from worlds that no longer exist. This story begins in one of those fragments, a world that was overcome by enormous bugs. While the setting isn't too important, it serves as a nice backdrop. 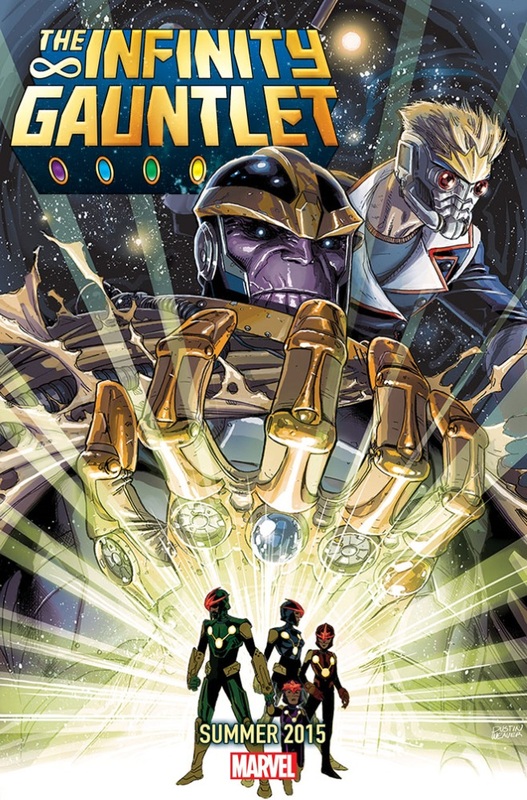 While I haven't been enjoying this event, as a fan of the original Infinity Gauntlet, I wanted to give it a try. Of the Secret Wars books, this is by far my favorite. Gerry Duggan and Dustin Weaver tease us with the first Infinity Stone and I am very excited where this will lead. 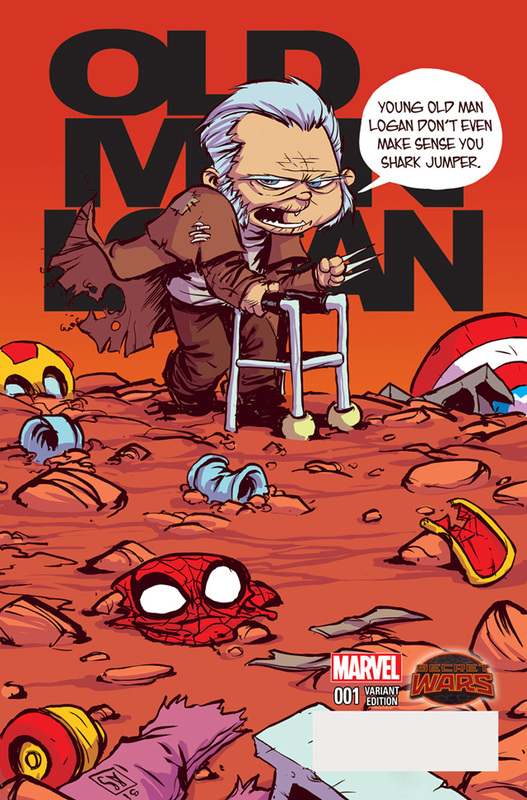 Old Man Logan #1 - I guess I am now starting to see the value of Secret Wars. Bringing in these fragmented worlds from the past is fun to revisit. If they can manage to link them together cohesively I will be very impressed. It was fun to revisit Old Man Logan and see what this grumpy cowboy is up to. He has been busy, taking care of Danielle Cage and attempting to maintain peace among the area gangs. Things change when he finds the head of an Ultron in what must be the link that will bring him to join the others on Battleworld. Fight Club 2 #1 - 19 years after the groundbreaking novel by Chuck Palahniuk, Fight Club has returned. 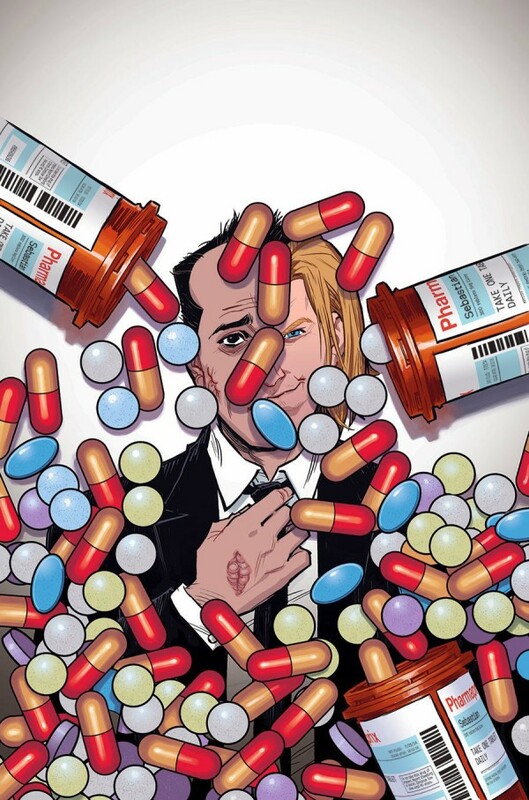 The comic, penned by Palahniuk, is a true sequel to the book. 10 years after the failure of Project Mayhem, we rejoin our troubled narrator as he attempts to live a normal life. Amidst his failing marriage, his son who is building bombs, and his drug addiction, he sees flashes of Tyler Durden. I am not sure what to think after the first issue, but I will most likely check out the next to see how the story progresses.